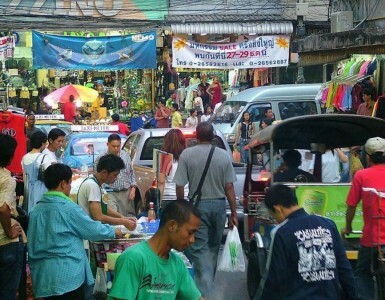 You would think that food lovers in Bangkok have it easy to pick where to get the best buffet experience, with the sheer amount of enticing offers available often overwhelming the senses. 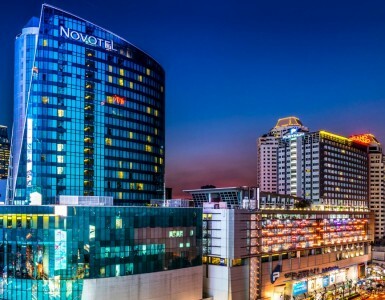 Novotel Bangkok Platinum Pratunam makes the choice of what to eat easy as pie , with different hotel buffet promotions during the week and on the weekends at the Square Restaurant that bring both value for money and a great selection of cuisines from all corners of the world! The buffet delights start first thing in the morning with a generous spread that covers the breakfast classics such as an egg station, where a chef creates the omelet of your dreams, an oven-fresh selection of homemade pastries and baked goods, fresh fruits and Asian breakfast staples such as rice congee and more. Our lunch buffet promotion continues with an international theme, offering classic buffet favorites such as fresh pasta and grilled meat and skewers made to order, homemade dim sum, sushi, a generous selection of tapas-style cold appetizers and salad bar, halal-friendly options and the Square’s signature trio of roast duck, honey BBQ pork and crispy pork belly. But keep some room for dessert, as the extensive selection of cakes, crepes, mousses, chocolate fountain, traditional Thai sweets and delicately carved fruit is always big hit! 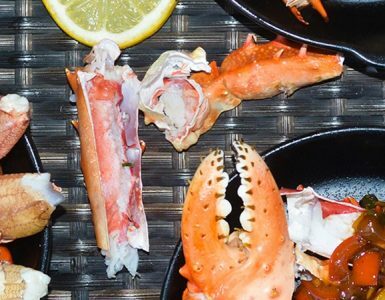 Sunday Brunch so often turns into brunch, with The Square restaurant unveiling a splendid hotel buffet promotion specially created for lovers of all things seafood. Known as the best seafood buffet in Bangkok, try the fresh oysters, prawns, crabs and NZ mussels on ice, best enjoyed with spicy Thai seafood sauce, savor the just-off-the-grill aroma of a grilled rock lobster or simply enjoy the different ways seafood can be made extra delicious in all of your favorite western and Asian dishes. With all this being said, it’s clear that Novotel Bangkok Platinum Pratunam offers flexible hotel buffet promotions that are pocket-friendly and great for every taste! Accor members can further gain additional benefits and discounts when book direct.